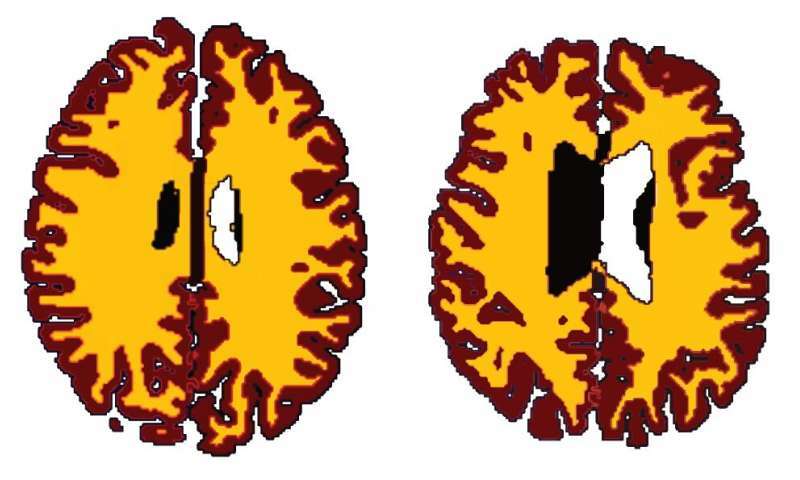 From middle-age, the brains of obese individuals display differences in white matter similar to those in lean individuals ten years their senior, according to new research led by the University of Cambridge. White matter is the tissue that connects areas of the brain and allows for information to be communicated between regions. Our brains naturally shrink with age, but scientists are increasingly recognising that obesity - already linked to conditions such as diabetes, cancer and heart disease - may also affect the onset and progression of brain ageing; however, direct studies to support this link are lacking. In a cross-sectional study - in other words, a study that looks at data from individuals at one point in time - researchers looked at the impact of obesity on brain structure across the adult lifespan to investigate whether obesity was associated with brain changes characteristic of ageing. The team studied data from 473 individuals between the ages of 20 and 87, recruited by the Cambridge Centre for Aging and Neuroscience. The results are published in the journal Neurobiology of Aging.